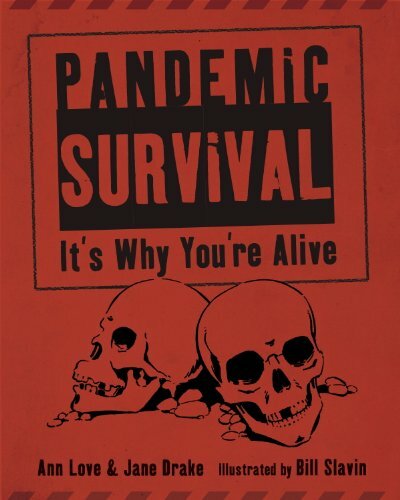 Pandemic Survival: It's Why You're Alive, by Ann Love & Jane Drake (Tundra Books, 2013). 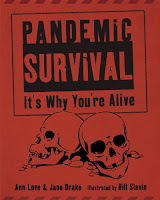 This compendium of how pandemics and epidemics across the world shaped history is an informative nonfiction resource for children with a fascination for scientific history and the macabre. The authors provide juicy details about the gross and gory symptoms and scientific facts of every plague and epidemic one could think of, from leprosy to small pox to cholera to TB and even mass hysteria. After reading this, I am reminded of how extremely lucky we are to live in an era with sanitary living conditions, penicillin, modern medicine and an understanding of how to prevent diseases. My favorite parts of the book were the discussions of people who brought us to the modern age of epidemiology, vaccines, and antibiotics: Alexander Fleming (whose slovenly habits resulted in the discovery of penicillin); Louis Pasteur (who figured out how fermentation worked, disproved the theory of spontaneous generation, and solved the riddle of rabies vaccination); Jonas Salk (who developed a polio vaccine); Paul-Louis Simond (who discovered the link between the plague and fleas on rats); and John Snow (the world's first epidemiologist who proved the source of a terrible cholera outbreak in London), among others. This review was based on a review copy from LibraryThing. 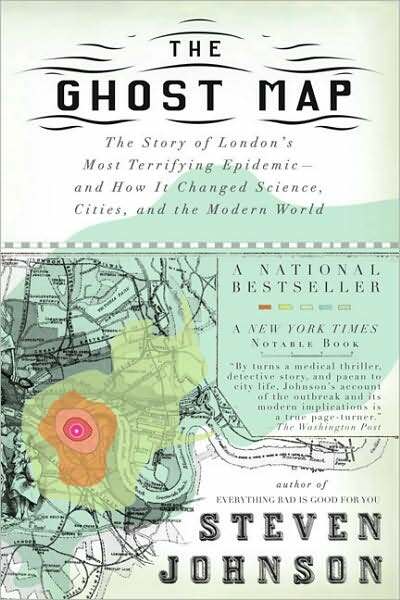 The Ghost Map: The Story of London's Most Terrifying Epidemic--and How It Changed Science, Cities, and the Modern World, by Steven Johnson (Riverhead Trade, 200&) This is a gripping medical mystery set in Victorian London. In a city with open cesspools and dung heaps, an extremely virulent epidemic of cholera is sweeping a neighborhood near Broad Street in 1854. The prevailing scientific consensus is that cholera and sickness is spread through "miasma" or bad air and that lower classes suffer disproportionately from contagion due to their lesser constitutions. Only John Snow, a doctor from a poor background known for his pioneering research in anesthesiology (ether & chloroform), had the insight to consider water wells as a potential source of the disease. His relentless detective work soon uncovers one well pump as the culprit. Though the authorities disbelieve him, they shut down the well. A local priest, Henry Whitehead, sets out to disprove Snow's theory but is soon convinced when his own extensive detective work uncovers the source of the outbreak, a baby girl whose mother tossed her dirty diaper water feet from the well. John Snow's "ghost map" which documented the deaths of each household around the well based on the time it took to walk to the well was a key piece of evidence that ultimately convinced the public. This book documents one of the first instances where modern scientific inquiry (making decisions based on empirical observations and deductions instead of superstition) resulted in a public health response. London eventually developed its underground sewer system once people realized the connection between drinking water and sewage. Radiolab Podcast. Though not a book, I happened to catch a fascinating podcast from Radio Lab, Rodney v. Death, which chronicles how one doctor attempted the impossible to save a girl from rabies, a disease with a 100% fatality rate once full-blown symptoms have developed. This is a fascinating examination of the disease, how medical advances are made, and the amazing interaction between humans and viruses. The Darwin Elevator, by Jason Hough (Del Rey, 2013) This is an excellent, old-fashioned, rip-roaring sci-fi story complete with action, fight scenes, and a beautiful scientist love story, set in a dystopian future where most of Earth has been destroyed by an alien plague, except for a small perimeter in Darwin, Australia. People there are protected by a space elevator installed by aliens for an unknown purpose. At the bottom of the elevator are the masses of miserable commoners and orbiting Earth at the top of the elevator are the scientists and other privileged few who help grow food in exchange for air and water from below. The rest of the human population are subhumans - not quite zombies, but reduced to a single primal emotion like hate, fear, or lust, and a serious threat to remaining healthy humans. The main character and a few others who are immune to the plague have become scavengers a la Firefly style, and they are called upon to help save the remaining humans from a new threat from the aliens while battling the subhumans. World War Z, by Max Brooks (Crown, 2006) I haven't seen the movie, but based on the trailers, it looks like the movie has little in common with the book, which was fantastic. If you've seen the movie District 9, the book World War Z follows a similar premise -- a science fictional/horror story told documentary style, as reported and analyzed by political scientists, historians, journalists, and sociologists. This fictional history of the war between zombies and humankind examines the social, political, economic, psychological, and other ramifications of a worldwide disaster, which finds echoes in current political events. A sly and intelligent read. 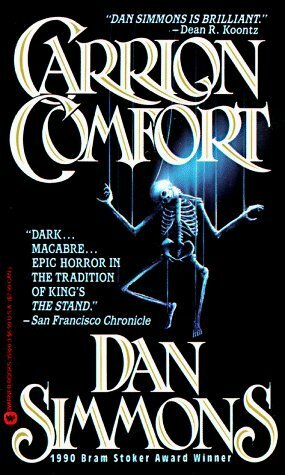 Carrion Comfort, by Dan Simmons (Grand Central Publishing, 1990). This is a vampire thriller with a twist - the vampires are super intelligent, evil beings whose power is to control people through their minds. A cabal of these vampires play at a sick contest of hunting and preying on humans. Saul Laski, a concentration camp survivor, and a motley crew of humans band together to try to defeat these creatures. Dan Simmons is the author of the acclaimed Hugo winning novel, Hyperion (which is also well worth reading). Of course, a post on the undead in popular literature is not complete without mentioning the trifecta of guilty pleasure vampire reading: the Sookie Stackhouse series by Charlaine Harris, the Anita Blake series by Laurell K. Hamilton, and the Vampire Lestat series by Anne Rice (the original pop culture vampire phenomenon). 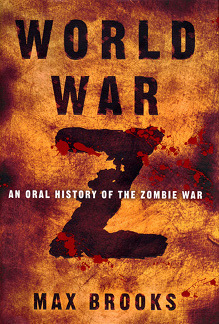 I'm not generally a zombie fan, but I've heard good things about World War Z. :) The nonfiction books sound like ones I'd totally go for though! 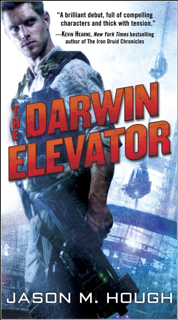 I've also heard really good things about the Darwin Elevator, so will have to read it too. Have you ever read The Disappearing Spoon? I really enjoyed that a lot! I have not, Teresa. Will definitely check it out! I am not sure how I missed this post. Love all these recommendations! Oh, and just wanted to mention that I loved District 9, I didn't mind the movie World War Z and reading the Sookie novels were a guilty pleasure, though I am glad that series (in book form) has finally finished. Yes, I really loved District 9 too. Thanks for stopping by!